You’ve probably heard stories about patients asking the FDA to fast-track new treatments, whether for cancer or diseases such as Parkinson’s. 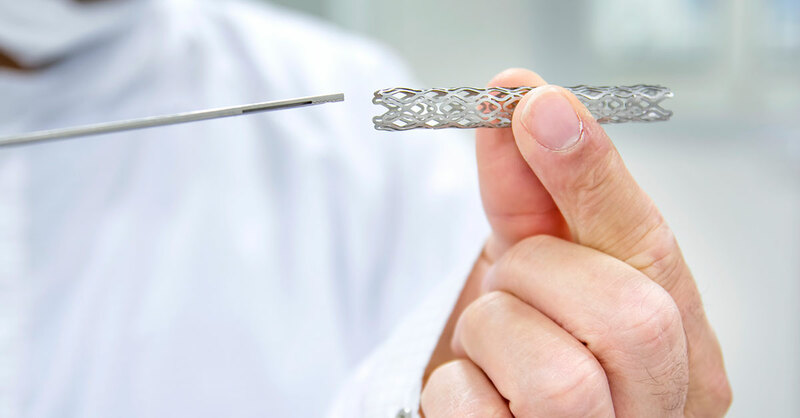 But there’s a dangerous flip side to quickie approvals, and it’s nowhere more evident than with heart devices designed to correct life-threatening conditions. Overall, 14 of 29 devices approved via a “priority” or fast-track reviewing process between 2007 and 2017 were for high-risk cardiovascular devices, named because of the high-risk nature of the heart conditions they’re supposed to treat. But “high risk” could very well apply to some of the devices themselves, according to a research letter from doctors at University of California, San Francisco. None of the trials showed whether patients who received the devices did better than those who received placebo procedures or placebo devices. The number of people in the studies averaged about 500, and the time they were followed was about 15 months. When it comes to trials in general, these are considered small and short. In most of the trials, the primary objective, or “end point,” was something other (read: lesser) than long-term survival or improved quality of life. For example, an end point might have been merely “non-inferiority,” meaning the device was only as good as other devices already available…no better! Two of the 14 devices needed to be re-reviewed after approval because the FDA realized it needed more information. As of May 2018, six of the 14 devices had safety recalls. In two of the recalls, the FDA said the devices were likely to cause “serious health consequences or death.” In the other recalls, the devices were said to be likely to cause “reversible adverse health consequences.” Important: Recalls do not always result in a device being removed from the market—often there are other versions of the same device that remain on the market. Data from “post-approval studies” for devices, an important part of the FDA’s priority review to make sure a device is safe and effective, is often slow to be collected—if it’s collected at all—and not always publicly available. For its part, as of June 2018, the FDA had failed to impose any penalties on any device manufacturers for failing to complete a post-approval study. These findings are particularly alarming because most of these devices are permanently implanted in patients. Having another operation to remove a problem device exposes patients to risks from surgery itself. The University of California research letter recommends changes to the FDA priority approval process such as longer clinical trials with more subjects, making primary end points more meaningful to patients, such as improved survival and quality of life, and mandated periodic reviews of these new devices for safety and efficacy. What should you do if your doctor recommends an implanted device for a high-risk cardiac condition for you or a loved one? Ask your doctor the following questions: How long has the device been on the market? Are there data to support its approval from at least one randomized clinical trial that measured meaningful outcomes? Were the patients similar to me? (For instance, many device trials enroll mostly younger white men, while women and an ethnically diverse population are not well represented.) If your other treatment options seem inadequate, even a nonoptimal answer to one or more of the above questions might not knock a device out of reasonable consideration. But just exploring these questions helps you make a much more informed decision among all your treatment options. Also ask whether your doctor has any financial relationship with the device manufacturer—if so, it’s a sign that he or she may not be an unbiased source of information.